You may have noticed the glut of gluten-free foods on the grocery shelves, and you may wonder about the benefits of a gluten-free diet. Indeed, there are many advantages, including natural weight loss! 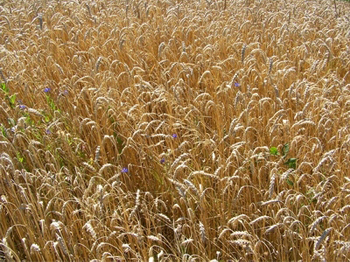 Gluten is a protein found in wheat, barley and rye products. You can find gluten in most cereal and breads. Gluten has garnered much attention over the last few years, as doctors have found that millions of Americans have an allergy to gluten – an allergy that has often gone undiagnosed. It is because of these new findings about gluten that has spurred a number of food companies to make foods that are labeled gluten-free. Celiac Disease is an autoimmune disease that is essentially an intolerance, or insensitivity, to gluten found in foods. The incidences of Celiac Disease are widespread, with most people suffering from everything from poor bowel habits and stomach pain to infertility, bloating and exhaustion. Scientists expect that about one percent of the population has an insensitivity to gluten. Can you Benefit from a Gluten Diet? Many individuals who adopt a gluten-free diet claim to feel better, which may mean that they had an insensitivity to gluten. Other individuals claim to lose weight following a gluten-free diet, although it is important to know that gluten-free foods typically have the same amount of carbohydrates as their gluten counterparts. If you follow a gluten-free diet, you may find that you will lose weight just by cutting down on starchy, processed foods. Lowering your intake of processed foods helps to lower insulin, which may thereby help you lose weight and provide you with increased energy. To avoid gluten, do not eat anything that contains wheat, rye and barley. Oats do not contain gluten, although it is not out of the question that your favorite oats contain gluten, as some oats are manufactured alongside wheat products. There are a number of safe foods when it comes to gluten, including: corn, rice, potatoes, soybeans, buckwheat, quinoa, and amaranth. If you suffer from intestinal problems, such as poor bowel habits (constipation and/or diarrhea), bloating and gas, you may want to try implement a gluten-free diet. Although your doctor can easily diagnosis you with an insensitivity to gluten, you can also experiment on your own, as there are no health risks associated with going gluten-free. Even if you don’t feel like you have insensitivity to gluten, you may want to try a gluten-free diet for weight-loss and health purposes. Keep in mind, however, that in order to really see the benefits of a gluten-free diet you need to adopt this diet for at least a month or two. One of the most important things you can do when it comes to eating gluten-free is to read the nutrition label on all foods. Given that many of the packaged foods today are marked “gluten-free,” it is easier than ever to adopt a gluten-free diet.